2. All edible books must be “bookish” through the integration of text, literary inspiration or, quite simply, the form. 3. Organizations or individual participants must register with the festival’s organization and see to it that the event is immortalized on the international festival website. 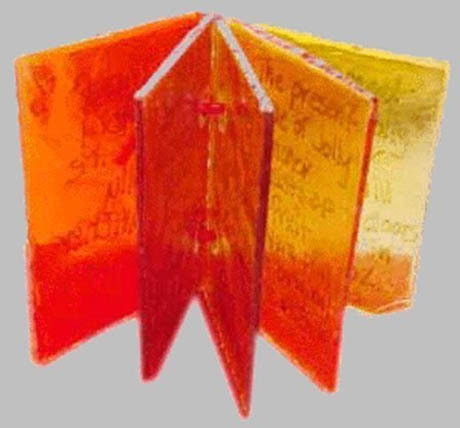 IMAGE: “The Story of The Jolly Rancher Company,” by Brenda J. Gallagher, via the endlessly browsable International Edible Book Festival archives. 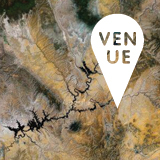 This year, there are events scheduled as far afield as Adelaide, Venice, Dublin, and Normal, Illinois, with the United States in general showing the strongest representation. 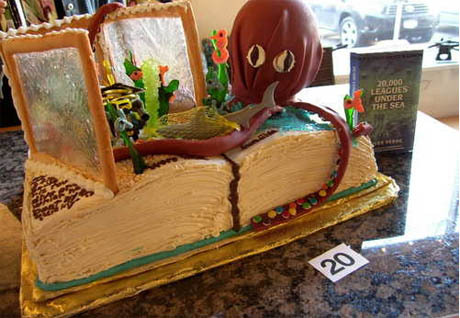 IMAGE: “20,000 Leagues Under the Sea,” by Stephanie Hawkins, a 2009 entry into the Western New York Book Arts Collaborative Edible Books Contest, via the Buffalo News. 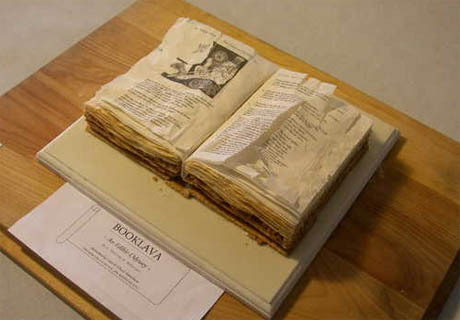 IMAGE: “Booklava,” by Chuck and Cara Matteliano, the winner at the 2009 Western New York Book Arts Collaborative Edible Books Contest, via the Buffalo News. IMAGE: “Essay on the Essays of Francis Bacon,” by Shasti O’Leary Soudant and Lauren Newkirk Maynard, second-place winner at the 2009 Western New York Book Arts Collaborative Edible Books Contest, via the Buffalo News. 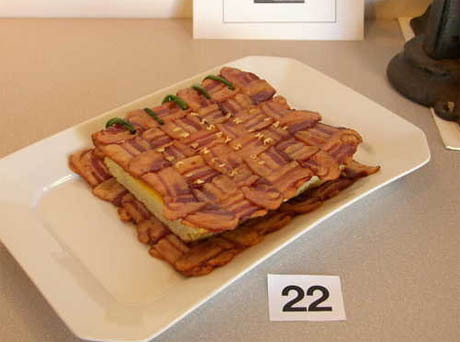 They wove two pounds of bacon into mats, then baked them, weighed down by another tray so they’d finish flat. With scallion hinges, whipped egg omelet for the “pages,” and alphabet-soup lettering, it was an edible work of art. 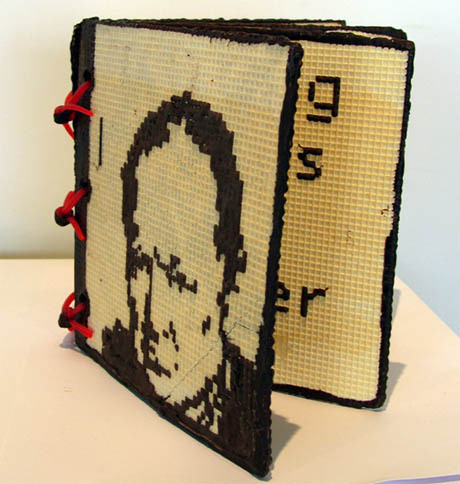 IMAGE: “Eating Words – Winston Churchill,” by Richard Kegler, 2009 (wafer board, chocolate, Twizzlers), via the WNY Book Arts Center Edible Books gallery. 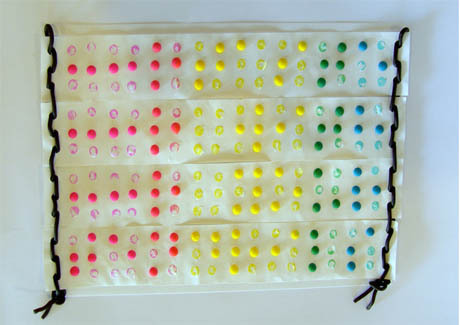 IMAGE: “Taste with your tendrils (Braille),” by Courney Brent, 2009 (black licorice, candy dots), via the WNY Book Arts Center Edible Books gallery. On a similar note, I’ve been enjoying Murketing‘s Rob Walker’s recent series of posts on “the idea of the book,” in which he curates various re-uses and alternate frameworks for books – as wall-paper, guns, jewellery, intellectual property contracts, or even title-poetry, spines selected and lined up as word art. Seeing so many deformations and reformations all together inevitably (for me, at least) leads to some interesting reflections on the book as a designed object, as well the varying methods for its consumption. 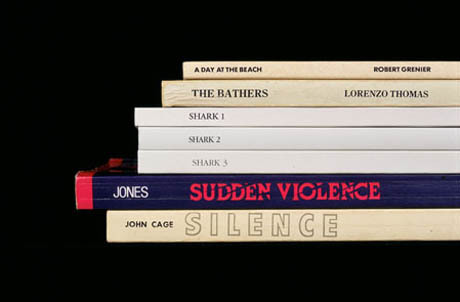 IMAGE: “Shark Journal” from the Sorted Books project by Nina Katchadourian, 2001 (C-prints), via Murketing. 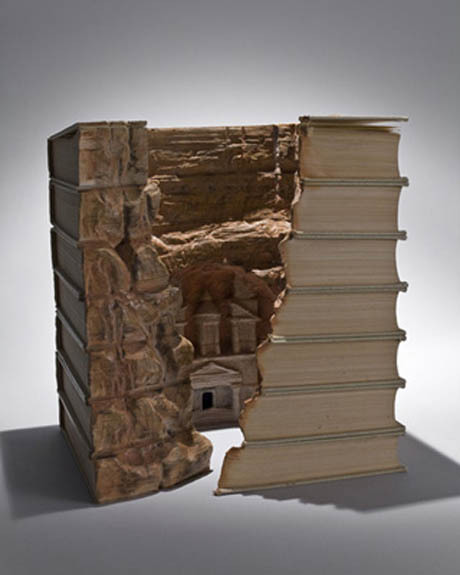 IMAGE: “Petra,” by Guy Laramée, 2007 (eroded Encyclopedia Britannica, pigments), via Murketing. Walker also collects examples of “imaginary brands” – fictional products immortalised in films, television shows, and, of course, books. It would be pretty incredible to see the two subjects collide at the Edible Book Festival: Wonka Bars used to make edible copies of Charlie and The Chocolate Factory, for example, or a seven-layer Harry Potter book-cake that incorporates Bertie Bott’s every flavour jelly beans. There’s still time to enter: let me know if you do! 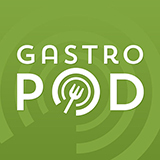 Publishing Food is a very occasional series that collects intriguing examples from the overlap between food and publishing, broadly interpreted. For previous posts in the series, click here. 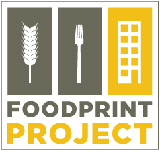 This entry was posted in Publishing Food. Bookmark the permalink. Trackbacks are closed, but you can post a comment. Totally fascinating subject — thanks for sharing.